While growing up in the earlier part of this century, we chanced upon a song on a dove. A Masakali, a dove that enchanted the generation with gleeful, fun mood and help adapt a carefree life. Soon, there were kurtis named after Masakli. Festivals galored and prizes showers on the poet and the musicians. Children were named as heera panna. And the lyrics got ingrained in my mind. After a decade or so, as I was exploring the ruins of Hampi, to my utter surprise, I found myself humming on Masakali! The entire journey. If not Orange Wayfarer, I could have named my blog Masakkali without a blink of eye. With time I found there are plenty of other Masakkalis whose stories can be shared on my platform. Mainly because we share the same notion of travel. I have known and followed them in Instagram for long. And thought of sharing the joy with my readers as well! Read to find more about these three individuals! I’m Jess and I am currently travelling the world with my boyfriend, Matt. We are an adventure couple blogging as we go. We are low-budget travellers interested in experiencing the real, everyday lifestyle of a country. Our journey started in September 2017 in India. For our first adventure, we kayaked down the River Ganges for two months from Haridwar to Calcutta. In January, we climbed Everest Base Camp and we will soon be setting off to walk and cycle in Central Asia from Uzbekistan to Beijing. On being in love on the road! A blossoming love has been for wildlife especially birds. On the River Ganges, we saw incredible animals almost everyday. We saw River crocodiles, dolphins, turtles and the most wonderful birds. Kingfishers aplenty, cranes, starlings and birds of prey. We would watch in delight as they flew above us, made their nests and drank from the water. It was a fascinating to see nature in this very real and untouched way. On choosing the favorite Nom destination! We’ve been in India for almost 6 months, we’ve ate a lot of home-cooked traditional Indian food as we have been welcomed into many Indian homes along the Ganges. However one of my favourite meals was in South Delhi at a restaurant called Rajinder da Dhaba. Customers sit on the pavement outside and eat the best tandoori food. We have a meat and fish tandoori with naan, it was so delicious. About the best highs of recent travels! One of the best travel moments has got to be getting dressed up in a sari and attending an Indian wedding in Odisha. We had been volunteering at an NGO in Orissa. The NGO works for young girls, gives them a home and an education otherwise they would be living as street beggars, daily labourers and in other forms of poverty. We had been invited to the wedding by a man from the community who’s daughter was getting married. The girls were very excited and took lots of joy in dressing me in the beautiful sari. I borrowed the sari from one of girls who was 14 and had escaped from a child marriage. It was a very special moment to spend time with the girls in this way. 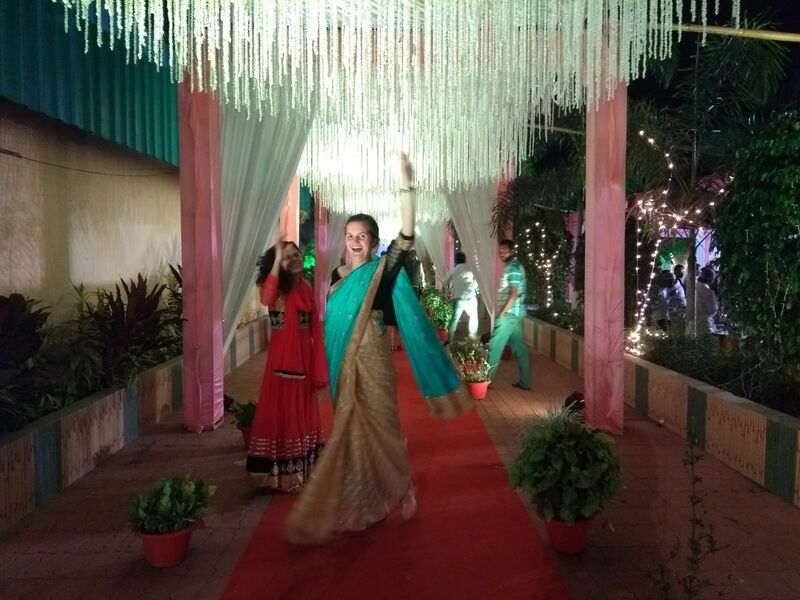 I thought the sari would be difficult to wear but I found it really comfortable and felt like a princess. The wedding was very grand with many guests and great food. A truly Indian experience. The prettiness that saree is! On being punch drunk in legit self love! 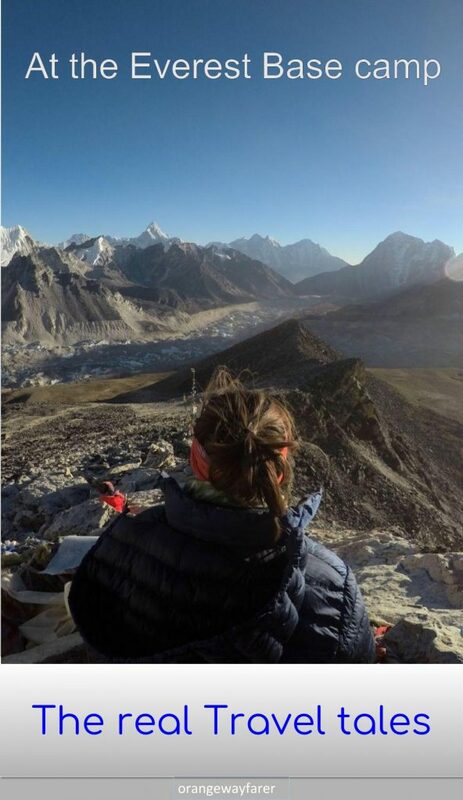 At Kala Pathar, looking over the Everest region in January 2018. 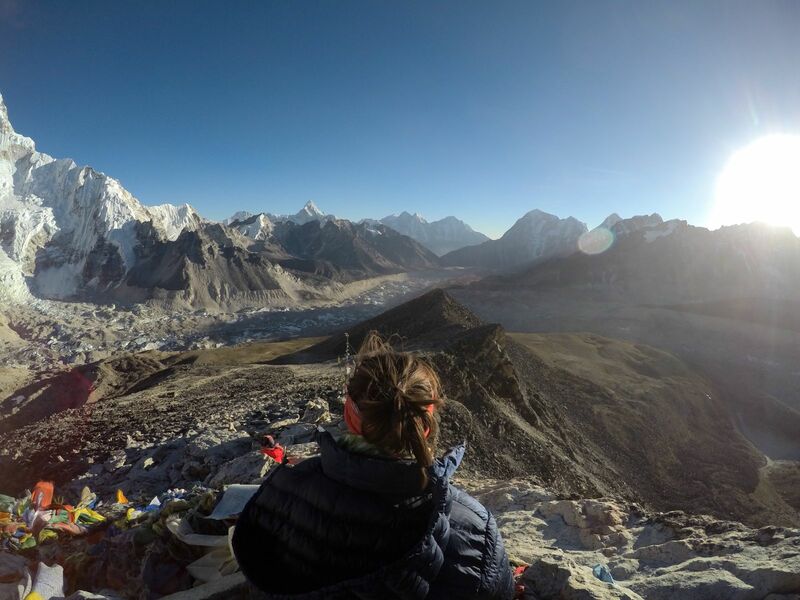 I’m sat at 5,550m the highest I have ever been in my life and probably the highest I’ll ever be again. It’s a hard climb. It’s very cold, windy and I was struggling to catch my breath. But I made it. At the top, I smiled and took a deep breath, it was an awe-inspiring moment. It had taken us almost 10 days to walk to Gorakshep from Salleri. 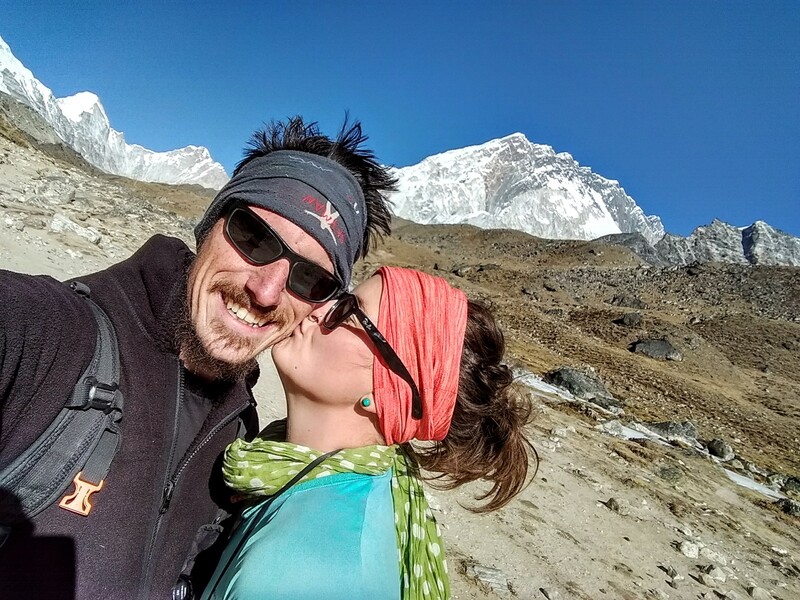 The next day we went to Everest Base Camp and it was stunning. As it was in January, there were few tourists about so it was very peaceful and at times, it felt like we had the whole place to ourselves. What was also very special about going to EBC was doing it with my dad and brother. They flew out to visit us in Nepal. We all felt a great sense of achievement when we reach EBC and had made some long lasting memories. It was a difficult walking experience but very do-able and so enjoyable. I loved every minute and will treasure the journey forever. Everest base Camp! This is just incredible! On reading about India before you pack your bags! Books about India for example, The God of Small Things, White Tiger, A Fine Balance have been a great inspirations for me. This is my third visit to India. I am fascinated by the landscape and culture of the country and have always wanted to spend as much time in India as I could. Reading these books encouraged me to want to visit India especially whilst also having a longing to know what other countries and cultures have to offer. Make sure to follow Jess and Matt in Instagram and Facebook. SO far my knowledge goes, they are exploring the Stan countries and giving major travel inspiration to everyone! How about meeting the pathfinder of responsible travel in India by the banks of a lake set at a high altitude plateau of Ladakh? The masakali soul, Chandroma Ray comes up with her most cherished travel experiences. 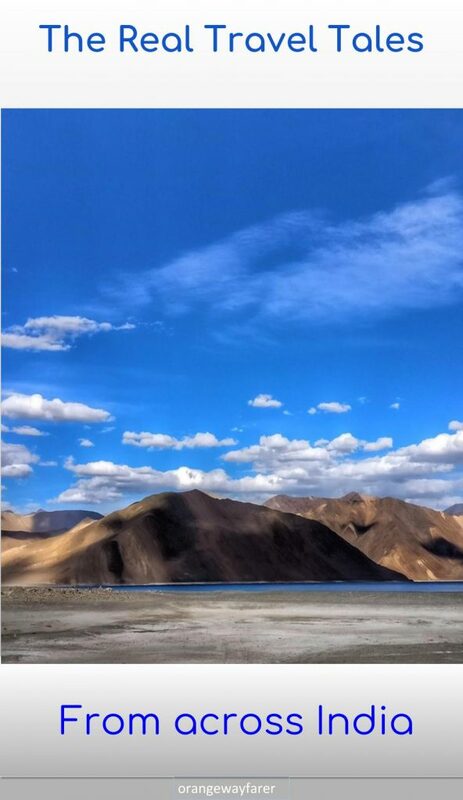 make sure you read her detail journey of Ladakh in the blog. 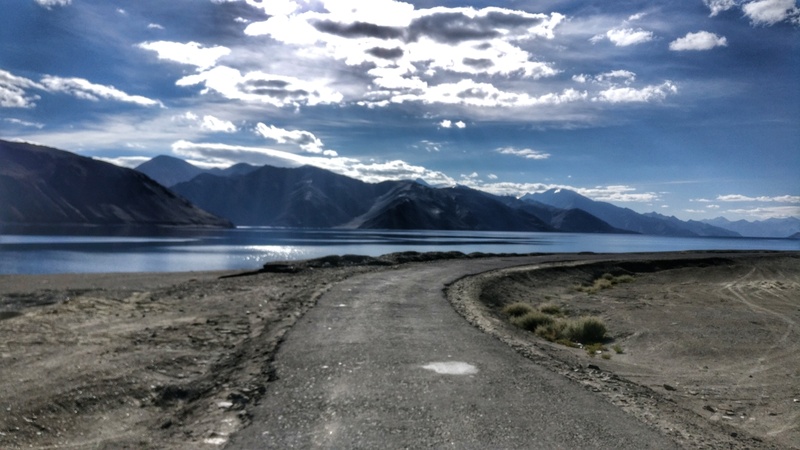 The first look of something you had been expecting for long is always special – Pangong Tso just topped that list for me! After several bends and turns and about two hours journey from Tangtse, with all your battery drained out, and watching with an absolute wonder filled with distaste, a group of young boys shattering the peace of the world with blazing loudspeakers, when all of a sudden you see a tuft of blue something peeping out from behind the mountains in a distance, you just know that all this pain has been worth it. Every penny of it. It looks unreal – like an emerald shining on the fingers of an old woman who has lost the colours of her youth. It starts drawing you towards itself and you cannot just wait anymore to see it in its full expanse. On our way to Manali from Leh we had to bear with a pretty bad stretch of dusty road as there was a road construction going on. Today’s pain, tomorrow’s gain – so no fuss about that. 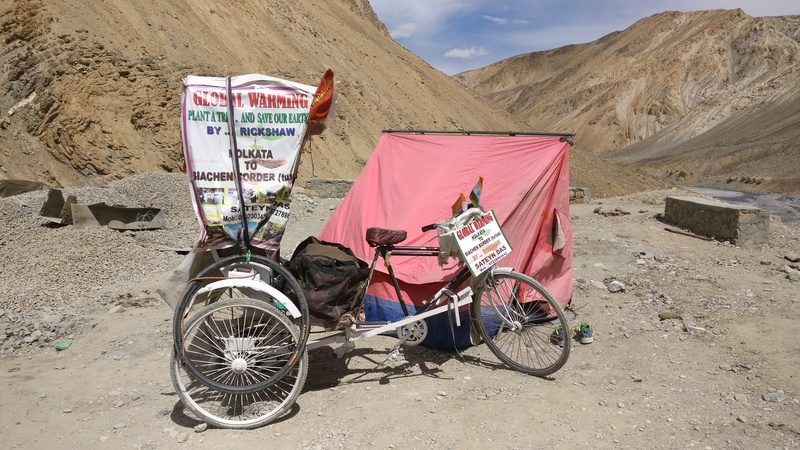 As we were about to doze off somewhere near Pang, we thought we saw something which didn’t register to be true at the first glance – like, you know, a Mercedes on Mars, or a submarine on the sand dunes of Sahara, or a cycle-rickshaw on the roads of Ladakh – wait!! 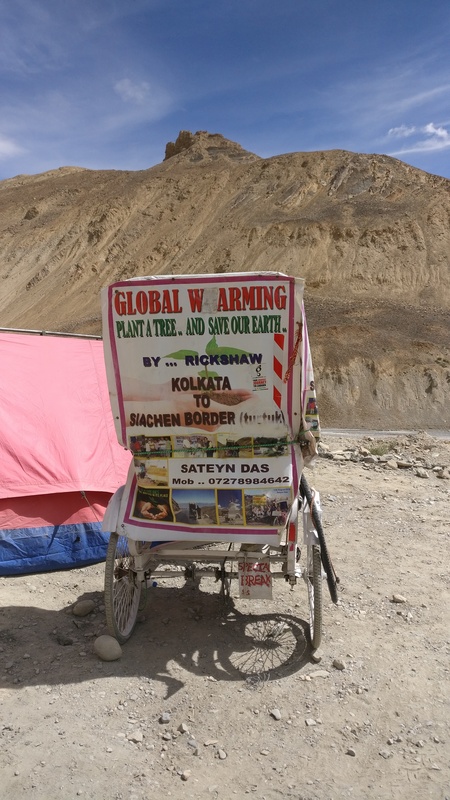 That’s exactly what we were seeing – a cycle-rickshaw on the roads of Ladakh, the same roads that we were covering on a 4×4!!! We stopped immediately and jumped out of the car – this was something that could not be missed. It looked like the rickshaw had been put there as a showpiece to entertain the passers by. But when an all smiles guy emerged from the tent beside it, we knew that that was not the case. 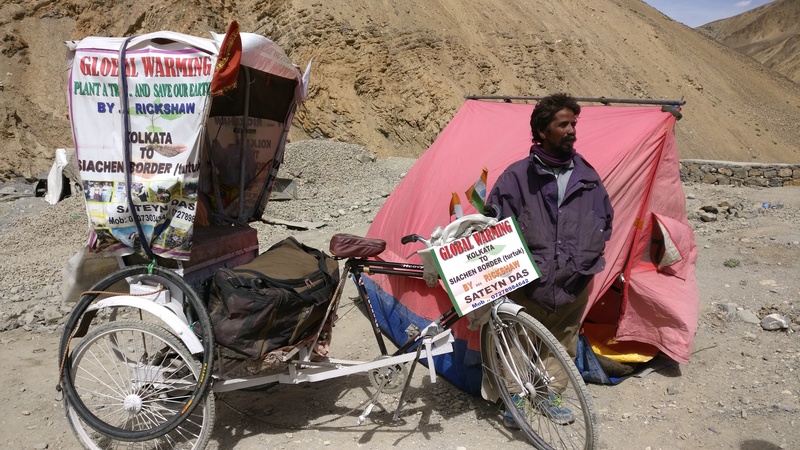 It turned out that he, Satyen Das, a cycle-rickshaw puller by profession, had cycled all the way from Calcutta to cover Ladakh all the way upto Turtuk in his cycle-rickshaw. He had been pitching up his tent wherever he managed to reach by night and had only the bare minimum things he needed to survive on the trip. The tiredness of the journey was not to be found on his face, and the smile he adorned all the while, made us remember a lesson we’ve all heard a thousand times in our lives, but probably not taken too seriously – “Nothing is impossible”. Yes – there were people with genuine trust in his abilities, sponsoring his trip, yes – he was pretty cool to have a Facebook handle and an email ID, contrary to his ragged looks, yes – he was already a small celebrity back in Bengal. But beyond all of this, this was a man of indomitable spirit who either had a point to prove to someone or had just casually thought of following what his heart wanted and set out on a journey like this, just like that. No lesser than the landscapes of Ladakh, Satyen was a marvellous experience, probably defining what miracles are made up of! Spending a Night with Diskit Landol at Hargam, Nubra Valley: My Happy Lady from the small village of Hargam, Nubra. During my visit to Nubra Valley, I had the opportunity of spending a day with a local family in Haragam village of Nubra Valley. The woman of the house Diskit Landol, won my heart in a million ways. 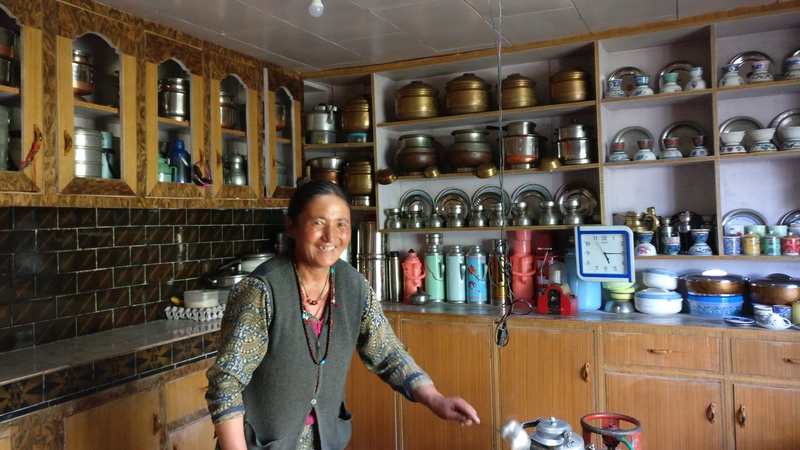 She was a local of Nubra and did not know any language other than the local Ladakhi language. All she had was an unparalleled warmth and used to split into the most natural peals of laughter that can wash away any trace of distress off people being her audience. Just remembering her, her first glance, her way of dealing with the language barrier, her way of dealing with a situation she was not prepared for, all with a smile that had no lies in it, that had the power to make anybody looking at it smile even wider, the smile that instantly makes you believe that the world is really still not devoid of happiness yet – just that brought me all the inspiration I needed to sail forward. When I thought about how she deals with the extreme conditions there during the winters, when I thought about how almost single-handedly she manages the house with her family being away for several days at times with absolutely no way she could reach them or talk to them, and all that with a smile, I knew what kept her going – the promise of life itself. One of my happiest people I met while traveling and that made it one of happiest moments too. Being a confused soul, I lived most part of my life taking things as it came. I had not planned on pursuing engineering but I went on to do my Masters in Engineering. But even then, I was not content with the life I had. The only part of the job I used to look forward to was when I would be sent on field work in remote villages with the other engineers. But it was a rare occurrence and I found myself reviewing my entire life. And I decided not to settle anymore with the desk job. Right after I resigned from my job, my mother in-law visited us in Bangalore. One morning, while watching an India-Sri Lanka test match, my husband came up with the idea of visiting Sri Lanka the coming weekend. Impulsively, we booked our tickets (it was cheap, thankfully), got our Electronic Travel Authorizations for Sri Lanka and planned for the weekend. Soon, we were driving across the ancient kingdoms of Sigiriya through the tea estates of Nuwara Eliya to the pristine beaches of Hikkaduwa. We met the friendliest people, ever smiling and forever helpful. The experience had been so uplifting that I believe it changed a part of me, who did not want to challenge conventions. I longed to be a free bird, no more tied to the shackles of a rat-race and take on life the way that would make me happy. The more I fell in love with myself during travels, the more I realized the potential of how much I can change the perceptions of people through travel. 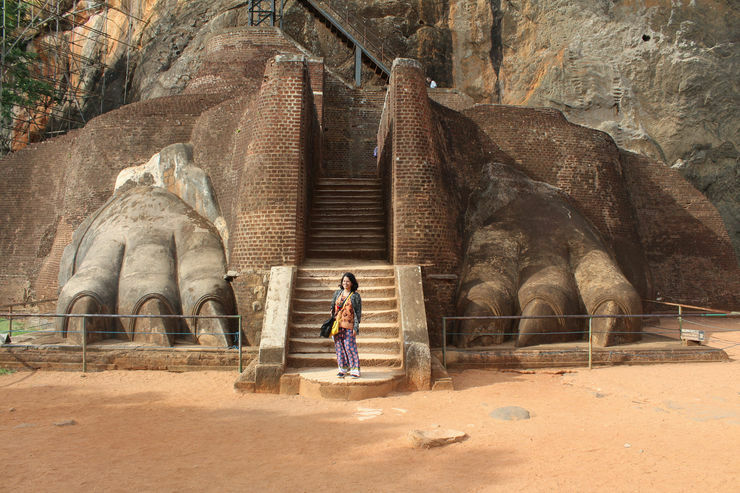 I truly believe that the Sri Lanka trip was the beginning of a journey that I have now ventured into. For the never ending love of food! I am a big foodie. 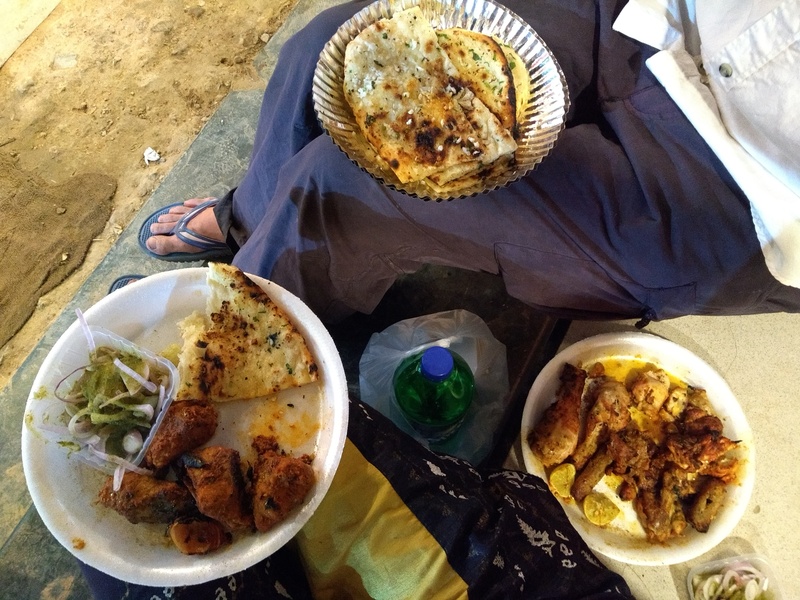 Be it street-food or the local cuisine of any place, it totally gets my complete and undivided love. Hence, it is difficult for me to point out the best meal. But what I can talk about is the most memorable meal I have had recently. We had booked a seaside hotel on a local island in Maldives, rather than a resort. The food in the hotel, though good, was a bit expensive for daily consumption. However, Google came to the rescue by showing us the nearest restaurants in the little island of Dhiffushi. 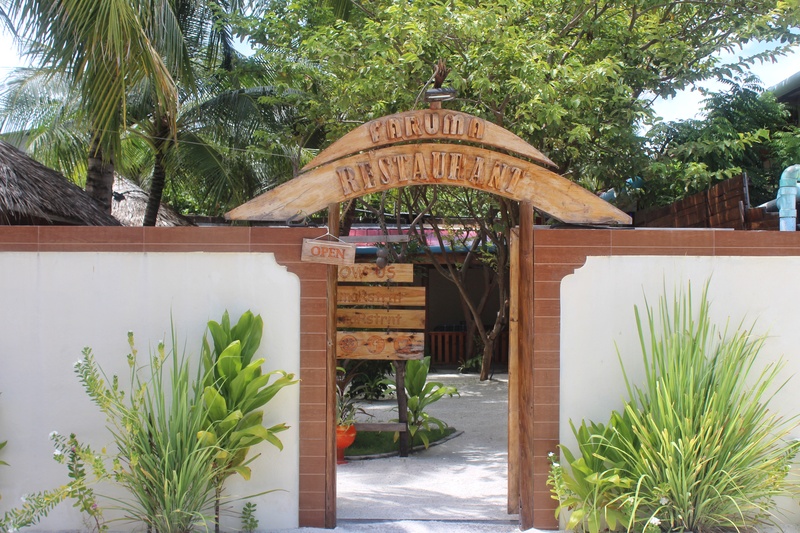 Our curiosity was piqued by the positive reviews of Faruma Restaurant. We decided to try it out for lunch and found it to be a quaint, little restaurant with a fresh look. It even had a signboard to encourage customers to follow them on social media. For lunch, we had the best Tuna Pizza accompanied by Fish and Chips and Maldivian Fish Meal. Our lunch was fresh, delicious and totally affordable. 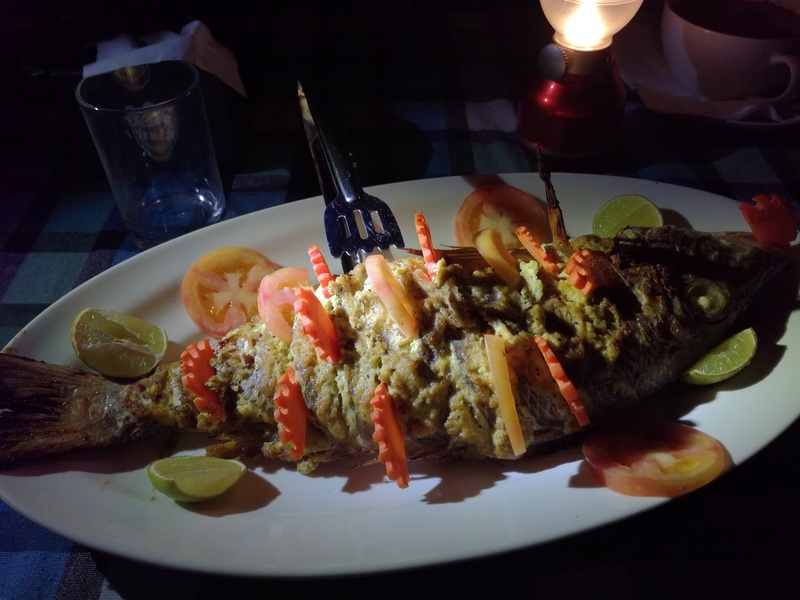 One of their specialties ‘Jack’s Maldivian Fish’ was frequently recommended by travellers in Google reviews. The dish is however not available at a short notice as it requires a lot of preparation by the chef. So, we pre-booked it for our dinner and it did not disappoint. We had a heart-warming dinner and returned to our rooms happily, patting our backs for having discovered a wonderful place to eat in. On a moment that was travel high! 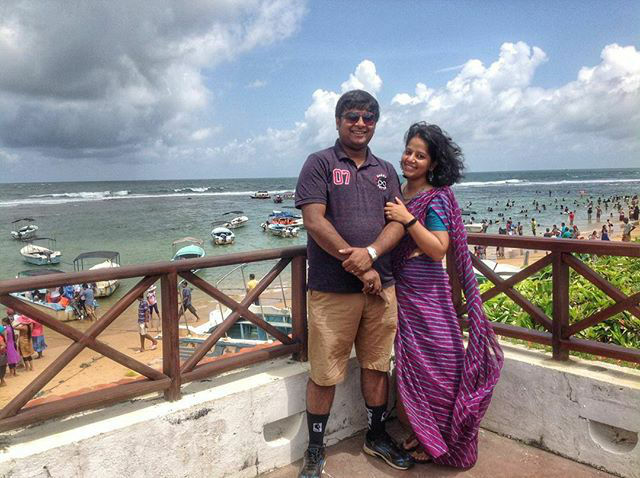 Till date, it would be the three days of our adventurous trip in Karnataka to celebrate our one-year old marriage. At Gokarna, we trekked from Om beach to Half Moon Beach thinking it would be an easy trail. If had I taken one wrong step, I would have drowned in the sea or worse, splattered my brains on the rocks below. The second day was at Murdeshwar, where we had our first experience with underwater life through scuba-diving despite my fear of drowning and my husband’s motion sickness (even over the sea). 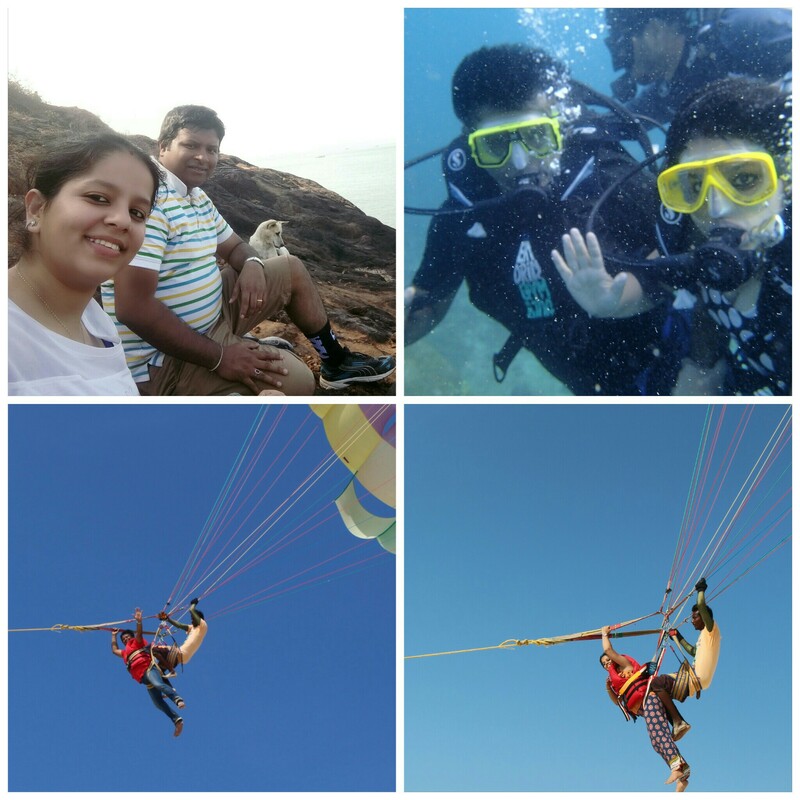 And on the final day, we ended up parasailing over Malpe Beach in Udupi even though my sister had made me promise that I wouldn’t be trying any more adventurous stuff. Except for scuba-diving, the rest were not planned and we just took one day at a time. It was the first time we were not accompanied by friends or families and we had some of the best times of our lives. This picture is special because it was the first time I wore a saree on travels. Ever since I was a kid, I loved dressing up in sarees for Saraswati Puja (celebrated with much fanfare across Eastern India). At college, I learnt how to drape one and I am still hooked to videos on how to drape the perfect saree. But I never thought I could take one on my travels. Even though I am comfortable in a saree, the thought that I could trip over and fall never made me seriously consider one while packing. Last year, I came across a group’s post where a fellow traveller (Shmruthi G Shankar) was making news for wearing sarees on travels. The way she draped in and how comfortable she looked in those sarees inspired me to take a new travel resolution. The opportunity came soon with the impulsive trip to Sri Lanka. I packed a Lehariya saree (from Jaipur) which I can easily fit in my backpack without having to worry about creases. I wore it on the last day and had a great time with it. I made a promise to myself that from going forward, I would take at least one saree on each of my travels. Even though I may not know how to pose for the perfect photograph in a saree, I love every bit of the experience and how I have arrived at it. I love books with travel stories (the recent one being India on my Platter) and Lonely Planet Magazines but they have not yet inspired me as much as movies have. To name a few, Tamasha, Highway, Jab We Met (Imtiaz Ali’s movies give serious travel goals), Yeh Jawani Hai Deewani, Zindagi Na Milegi Dobara and Midnight in Paris have fueled the fire of my wanderlust. 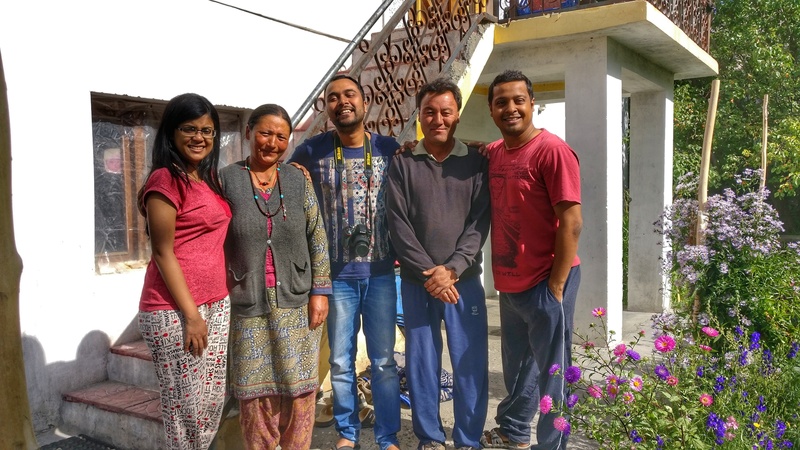 Loved the post and want to make your Masakali friends read these travel tales ? Why don’t you pin it for later?